Disclaimer: I’ve been rather busy and also gotten sick since this concert happened so I’m not going to do a complete review of the gig, and it’s late getting posted too so deal with it. It was Friday the 27th of August and I went to Jaxx to see Hate Eternal, Cannabis Corpse and Order Of Ennead play. There were some local bands that played first, but I didn’t get there in time to see them. I did hear that a band called the Dead End Kids performed some rap and so many people left the main room because of this that that they were having a problem with crowding in the hallway. I arrived at the venue a few minutes before Order Of Ennead played, which was good because I certainly wanted to see them again. 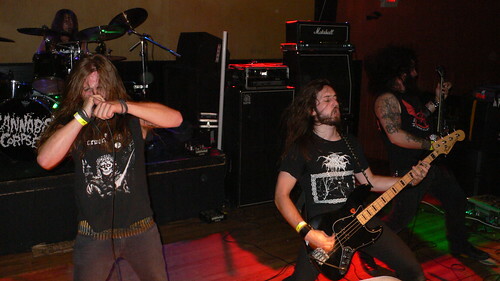 They’re a Tampa, Florida based death metal band, and their drummer is Steve Asheim of Deicide fame. I’d seen them open for Deicide a while ago, but it was good to see them standing on their own this time. They played a tight set and I liked it more than the first time I saw them. Partly because I caught the entire set, and also because I think they’ve practiced a lot more and gotten their sound really down. I guess I mean their performance just seemed more professional and polished. In all, a brutal way to start of the night, and I mean that in the best possible way. Next up was Cannabis Corpse, a sort of joke band from Richmond. 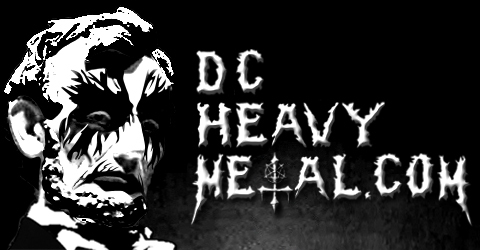 Their song titles are all parodies of Cannibal Corpse songs, but changed to make them about smoking pot. For example Skull Full Of Maggots becomes Skull Full Of Bong Hits. That said, their songs are not covers or Weird Al style humorous lyric swaps, they’re more thrashy really. You may recognize their bass player, Philip Hall, from the band Municipal Waste, though the stand out on stage was vocalist, Andy Horn. Even though Cannabis Corpse was the band I was least interested in seeing, he was by far the most entertaining person on stage all night. He was almost constantly moving around, making strange and funny expressions and hand gestures, and even doing things like stumbling around like a zombie on stage. He really kept their set entertaining to me, and he was good at getting the pit going too. Going into the show I thought they should be playing before Order Of Ennead but I think they were a good fit between the two Florida death metal bands. They were a nice change of pace and kept the show from getting monotonous. And even though they weren’t headlining, they finished their set with an encore song, the rarely played live Chronolith (video below). 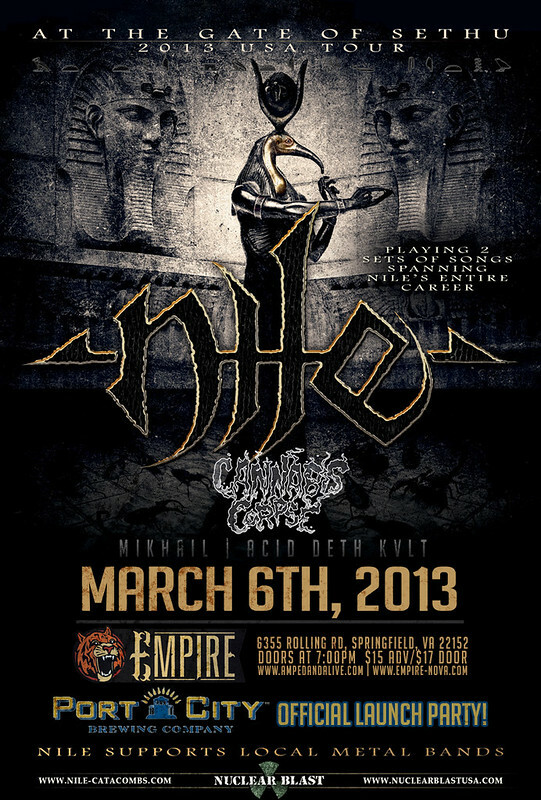 The next band set to play was the headlining act, Hate Eternal. The other Florida death metal act on the bill, this three piece band is technical and relentlessly brutal. 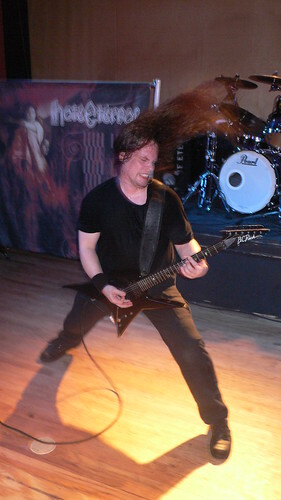 Vocalist/guitarist Eric Rutan is probably best known for his time spent in Morbid Angel, but Hate Eternal is his own baby. Most of their songs aren’t particularly catchy, but then you don’t go to death metal shows to grind on sluts all night do ya? No, you go to hear fast, brutal tunes with insane solos and gutteral vocals so you can let off some steam in the mosh pit. Hate Eternal delivered big time this night, and though the crowd wasn’t by any means the biggest I’ve seen at Jaxx, there were enough people there that the place didn’t feel empty. The band didn’t move around a whole lot on stage, tho Eric would walk to the edge of the stage in a few choice spots and get right up in the audience’s face which seemed to get people excited every time. 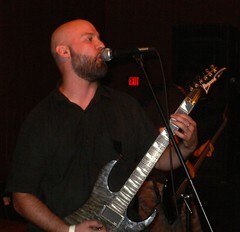 The band was really tight and really crushed it, especially on songs like I, Monarch and King Of All Kings. They were definitely worth seeing and my ears loved the pummeling.